Although fall is just around the corner, I’m still enjoying the summer weather we’re having here in New York City. Maybe I’m in a bit of denial about the end of the season but I’m not quite ready to move on to cooking those hearty, stick-to-your-ribs fall dishes. It’s been a hot week and these granitas were just what the doctor ordered! A granita is a frozen dessert made with water and other flavorings. It’s similar to sorbet but has a coarser texture. Granitas are very easy to make and you don’t need an ice cream maker. 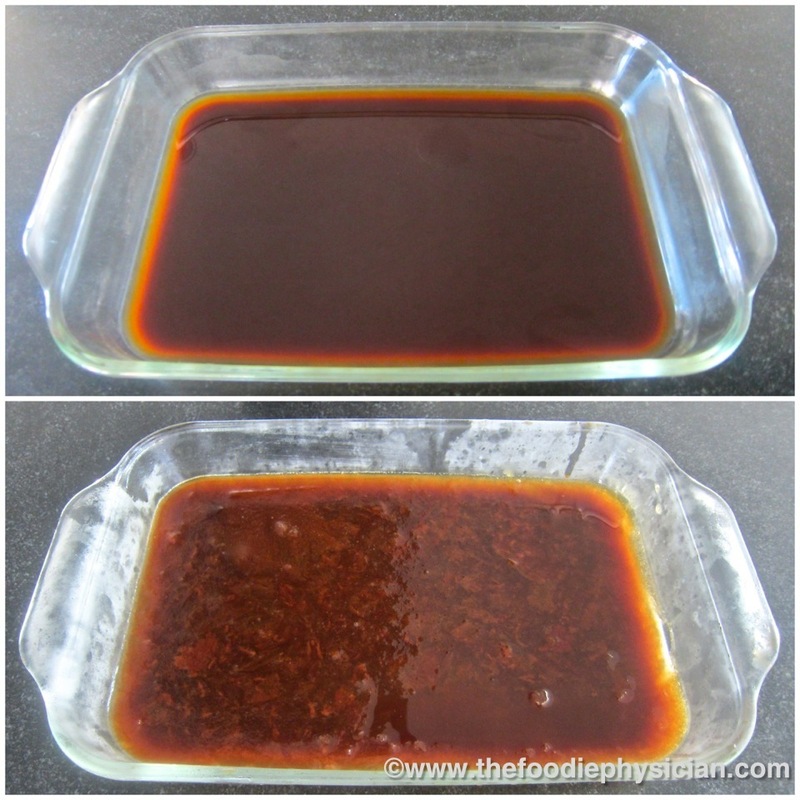 The liquid is poured into a dish and placed in the freezer. Then every 30 minutes or so, the mixture is scraped with a fork to break up the ice crystals and create a texture similar to shaved ice. It’s basically like a grown-up slushy and makes an elegant, fun dessert or a refreshing snack on a hot day. It’s also a perfect palate cleanser in a multi-course meal. It’s common to make granitas with fresh fruit- watermelon, berries, and citrus, are all popular flavors. I like to make mine with espresso. This dessert is for coffee lovers like myself- it definitely packs a punch. I prefer mine less sweet so I use only 1/3 cup sugar for 4 cups of coffee. If you prefer your espresso sweeter, feel free to add more sugar. 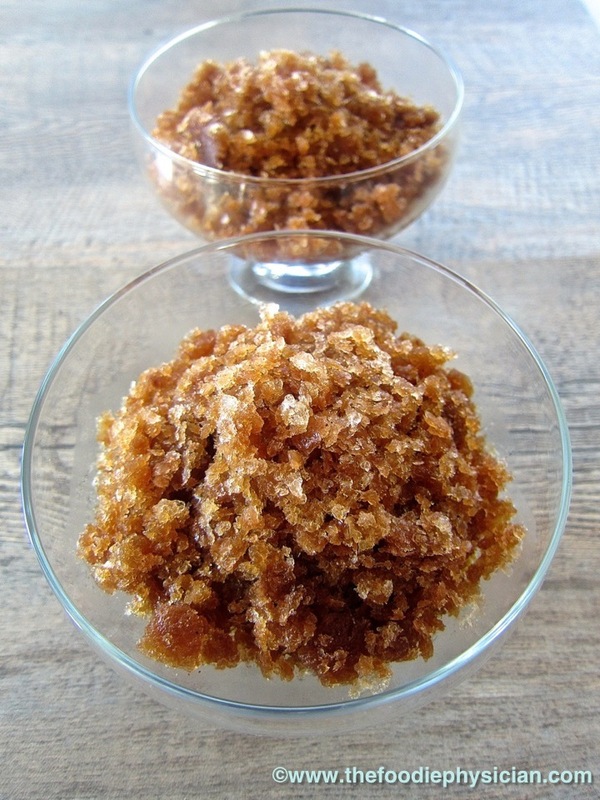 I recently bought a box of demerara sugar, a natural, unrefined sugar common in Britain. It has a slight molasses flavor, which works well in this dish. 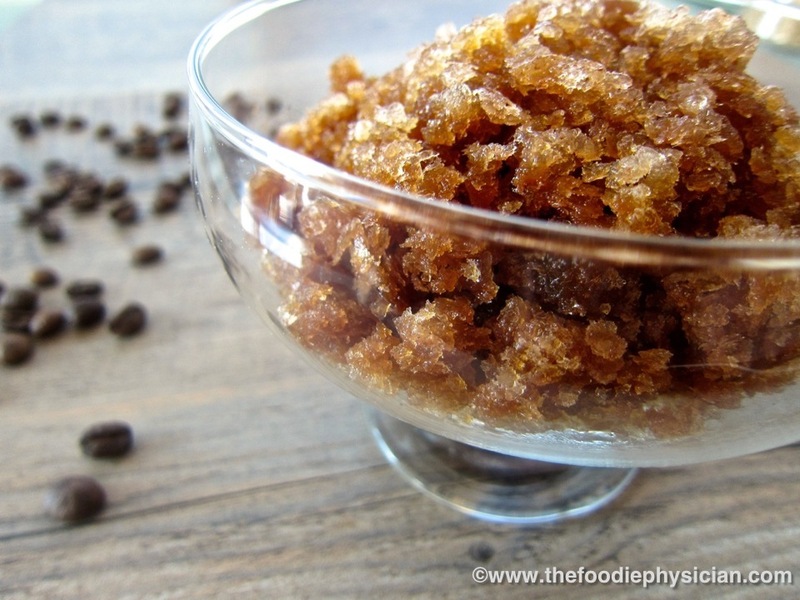 If you don’t have it, you can substitute turbinado sugar or any sugar that you have. Because I like a slight mocha flavor with my espresso, I stir in a little unsweetened cocoa powder. Not only does it taste good but it’s good for you too. Cocoa powder, which is made from the cocoa bean, is filled with a type of plant nutrient called flavonoids. The flavonoids found in chocolate (called flavanols) have antioxidant properties that help the body resist damage from normal bodily processes and environmental contaminants. They also have beneficial effects on cardiovascular health such as lowering blood pressure and improving blood flow to the brain and heart. To complement the espresso and cocoa, I also add a secret ingredient- a bit of cinnamon. If you’re looking for a refreshing caffeine hit on a hot day, this dish is for you. Try it plain or for a slightly more decadent treat, top it with some lightly sweetened whipped cream or fat free whipped topping and chocolate shavings. Stir the espresso, sugar, cocoa powder and cinnamon together in a large bowl until the sugar is dissolved. Pour the mixture into a 13x9-inch glass baking dish. Taste and adjust the level of sweetness as desired. Place the dish in the freezer. 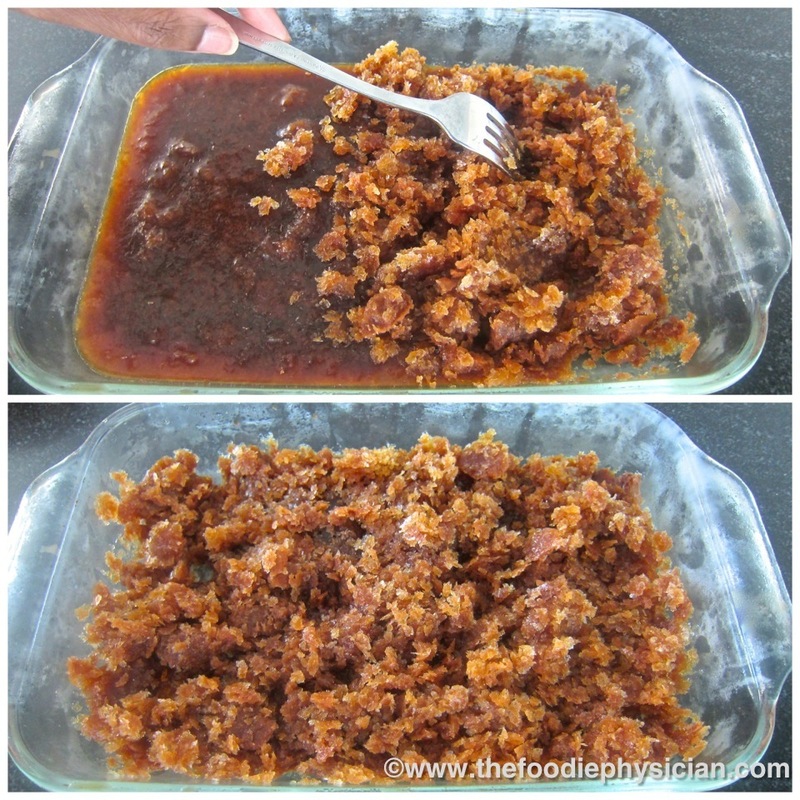 Remove the dish after thirty minutes and using a fork, scrape the mixture, breaking up any icy clumps. Return the dish to the freezer. Repeat the process every thirty minutes or so, scraping the mixture with a fork to break up the ice crystals and create a light and fluffy texture. It should take about 2-2 ½ hours total. 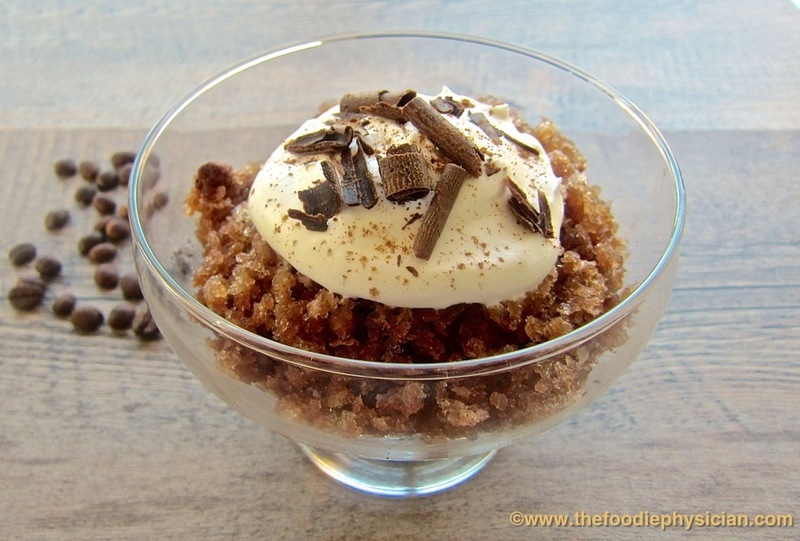 Scoop the granita into dessert bowls. Serve plain or garnish with whipped topping, chocolate shavings, and a sprinkling of cinnamon if desired. Serve immediately. I'll take anything with espresso year round. In fact, I consider affogatos a food group and adore iced coffee, so this fits squarely in my meal plan. I feel the same way Lynda! 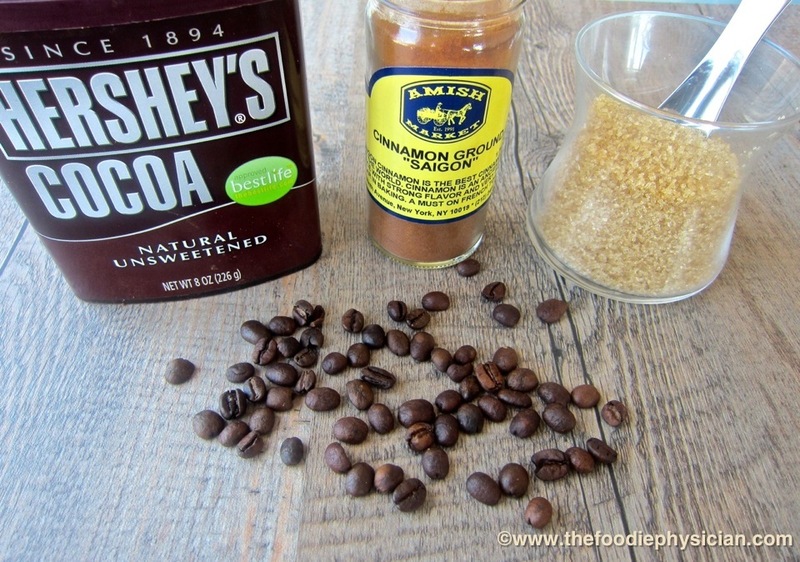 What a simple and easy dessert for summer and coffee lovers.I will make it with left over coffee that I always have. I would like to try out with fresh fruits, before the summer is out. Splendid new idea. It’s basically like a grown-up slushy and makes an elegant, fun dessert or a refreshing snack on a hot day. It’s also a perfect palate cleanser in a multi-course meal. My sister is a certified coffee junkie; and I swear she would love to try this new thing. I am thinking of trying this recipe as a present for her birthday, I just hope that they will finish renovating my kitchen this weekend so that OI could start working on this recipe for her birthday. This is definitely a good recipe for coffee junkies! You can adjust the amount of sugar based on how she likes her coffee. Let me know how it goes! This is another wonderful treats for my children and husband, I really like the concept of this dessert. 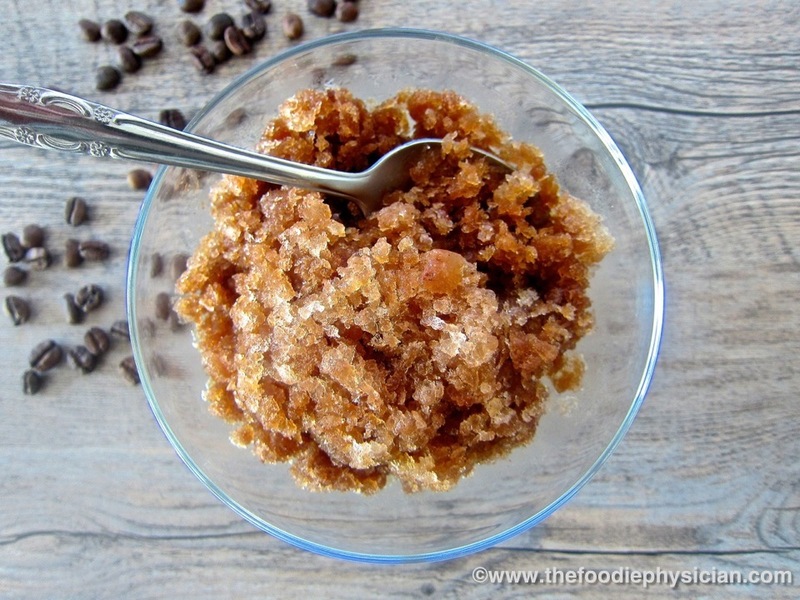 Thanks for sharing to instructions on how to make Mocha Espresso Granita.